It's warm enough now to have lunch outside on the deck some days. A loaf of good bread, a couple of salads and you're done! We spread the guacamole on the bread and serve the spinach salad alongside. The spinach and orange salad is ridiculously easy using only these two ingredients and a generous splash of extra virgin olive oil. Baby spinach leaves would be best for this salad but we had larger leaves in the garden that needed picking and surprisingly they tasted just fine. But I would avoid using a bunch of elderly supermarket spinach leaves.Our own New Zealand oranges were lovely and sweet, nice to be able to use locally grown fruit. A sliced avocado and some toasted and coarsely chopped macadamia nuts made a nice addition when we ate it again the following day. Mix together and season to taste with salt and freshly ground pepper. This is one of the easiest salads you could possibly make . The oranges provide sufficient acidity so there is no need for vinegar in the dressing. A tasty extra virgin olive oil does make all the difference! To make it simply peel some oranges and slice. Arrange some baby spinach leaves and orange slices in a shallow bowl. Dribble over plenty of extra virgin olive oil ( I used Two Black Dogs extra virgin olive oil). Add some salt if you must! The bottle of Two Black Dogs extra virgin olive oil I was given last week wasn't finished yet so after my usual leisurely visit to the Takapuna market to gather supplies (creamy French feta, mushrooms,beetroot, semi sundried tomatoes and small loaves of ciabatta bread made locally by a German baker)) I felt inspired to put the rest of it to good use. I got busy and created a shared Mediterranean lunch with everyone dipping in happily. And I have some exciting news to add. 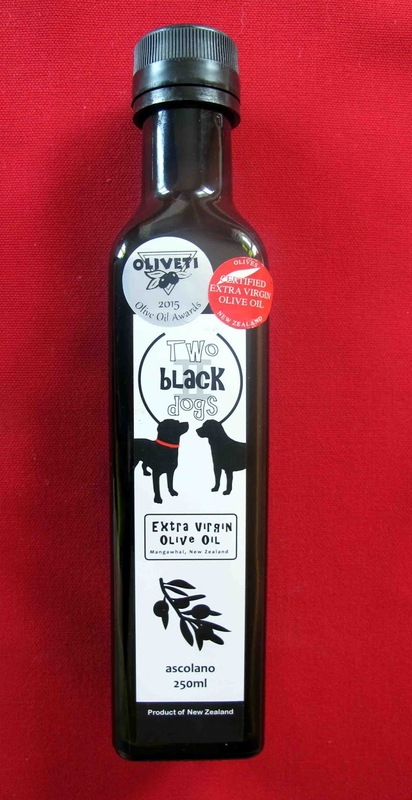 Nicky and Graham will be in a celebratory mood right now as last night they won a silver medal at the NZ olive oil awards for their Two Black Dogs extra virgin olive oil. So do try it in these recipes. It's seriously good. This is easy to assemble but it does need to stand for at least half an hour before serving to allow the dressing to soak in. We spread some slices of ciabatta thickly with a creamy French feta from the market to serve alongside. 2 extra tablespoon of Two Black Dogs extra virgin olive oil. 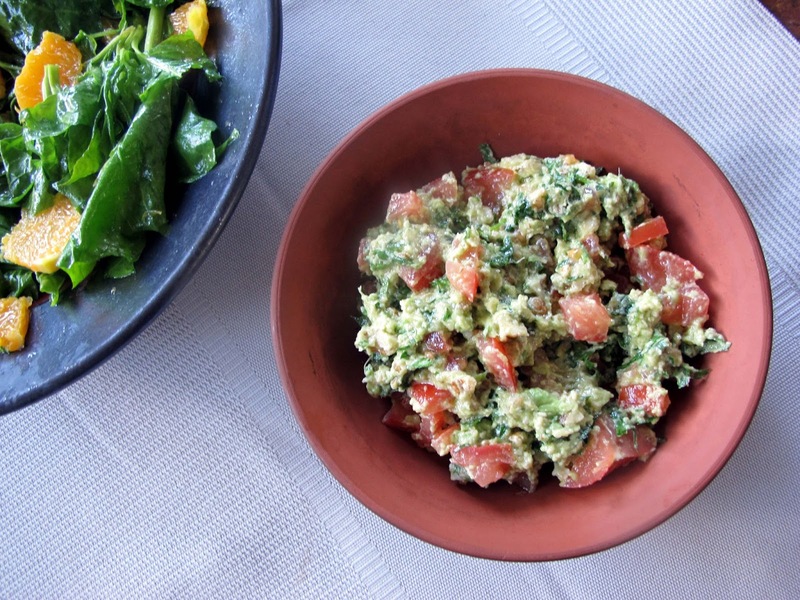 Put all the ingredients ( except the extra tablespoons of olive oil in a bowl and mix together. Leave to marinate for half an hour . Just before serving stir in the extra tablespoons of Two Black Dogs extra virgin olive oil. This will really allow its lovely flavour to shine through. 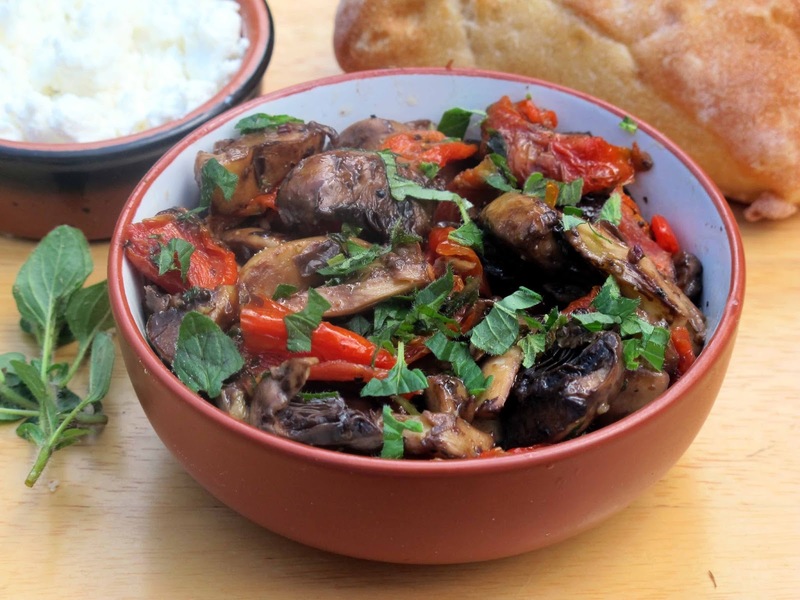 Serve with some creamy feta cheese and ciabatta bread alongside. I usually make this beetroot dip with yoghurt but I think it's even more delicious made with creme fraiche . It will keep for several days in the fridge and stay thick and creamy. 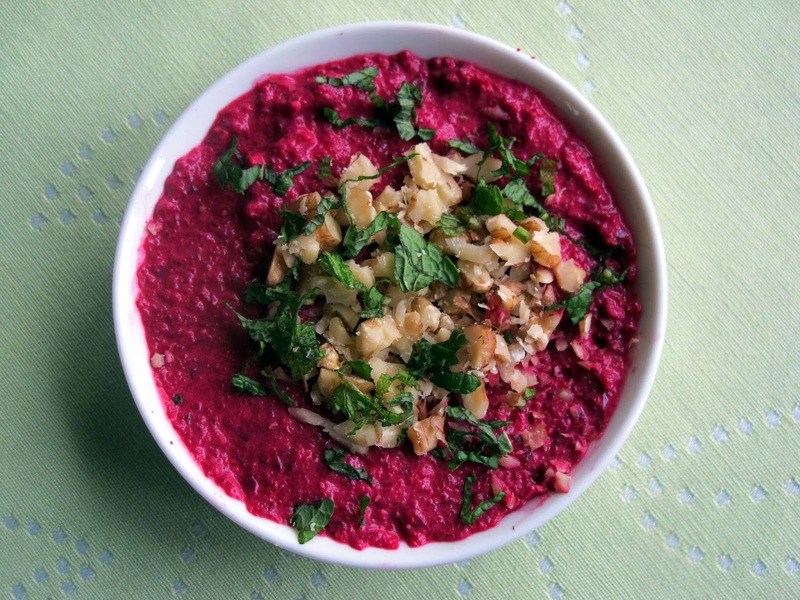 Boil the beetroot in their skins for 30-40 minutes or until fork tender. Drain and leave until cool enough to handle. Slip their skins off. Add the creme fraiche and blend again. Season to taste with freshly ground pepper and salt. Garnish with chopped mint and walnuts just before serving. This is my hummous recipe. It is light and citrussy. 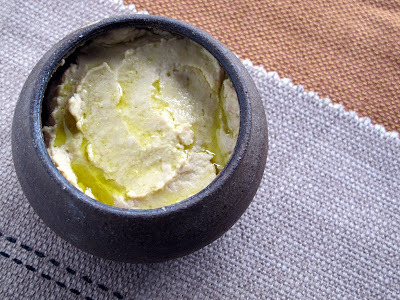 In many hummous recipes the oil is mixed into the hummous but I think the flavour of it gets somewhat lost that way. It's nicer to drizzle it generously on top. Put in a bowl and drizzle some olive oil over the top before serving with toasted triangles of pita bread.or spread on some ciabatta.